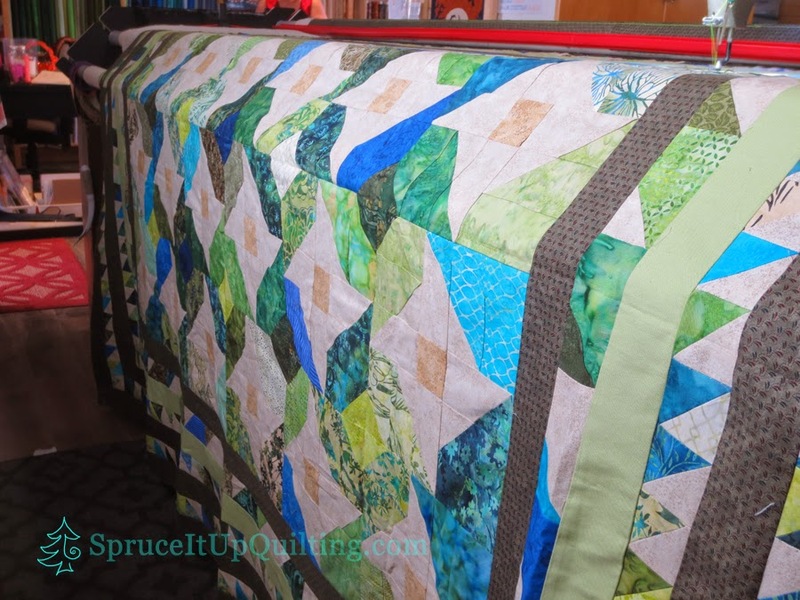 Spruce It Up Quilting: A Grandson's Northern Star! 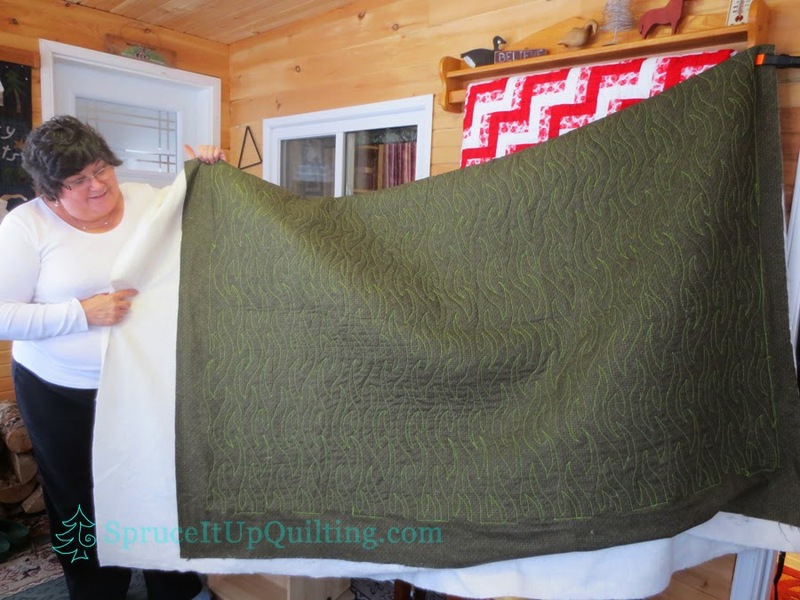 Philip is Odette's oldest grandson and she made him this handsome quilt. 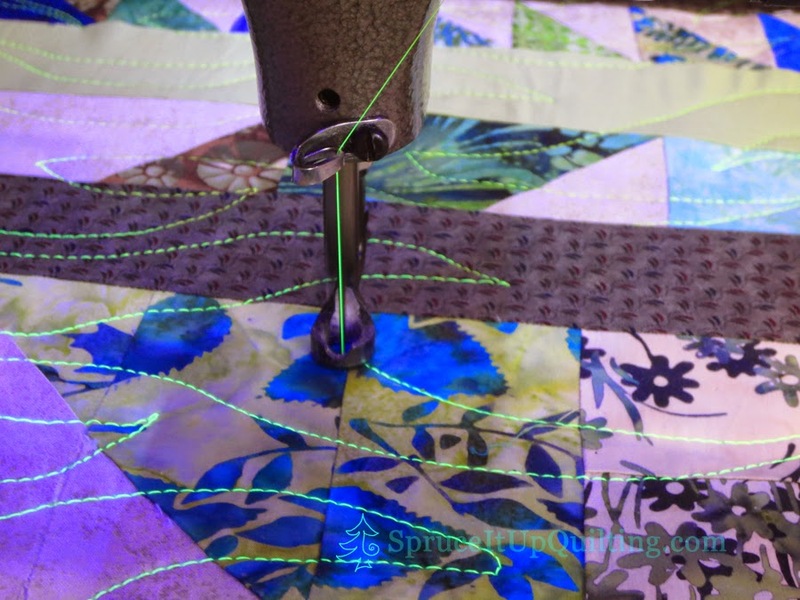 He's 14 yrs old and wants to be an engineer. 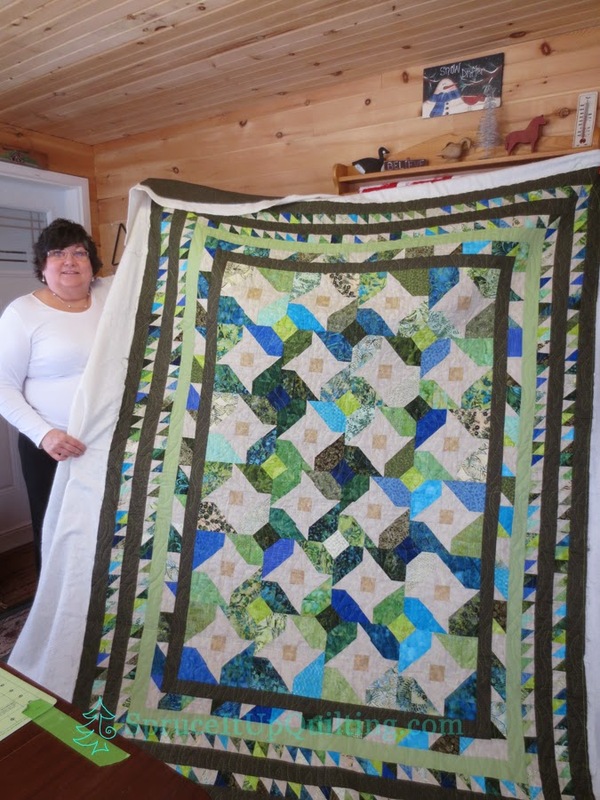 His quilt consists of green and blue batiks; the pattern... an altered Northern Star. 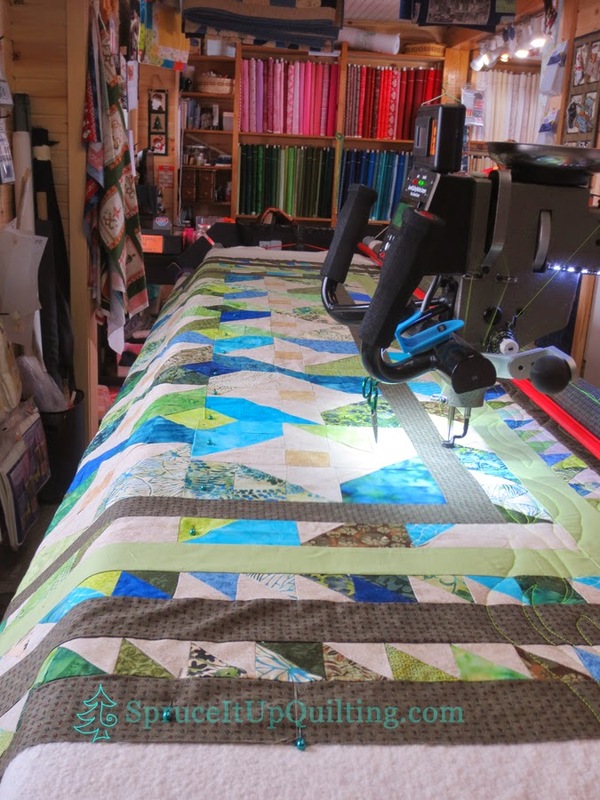 We loaded the length of the quilt horizontally because Odette chose Ebb and Flow pantograph to resemble flames. 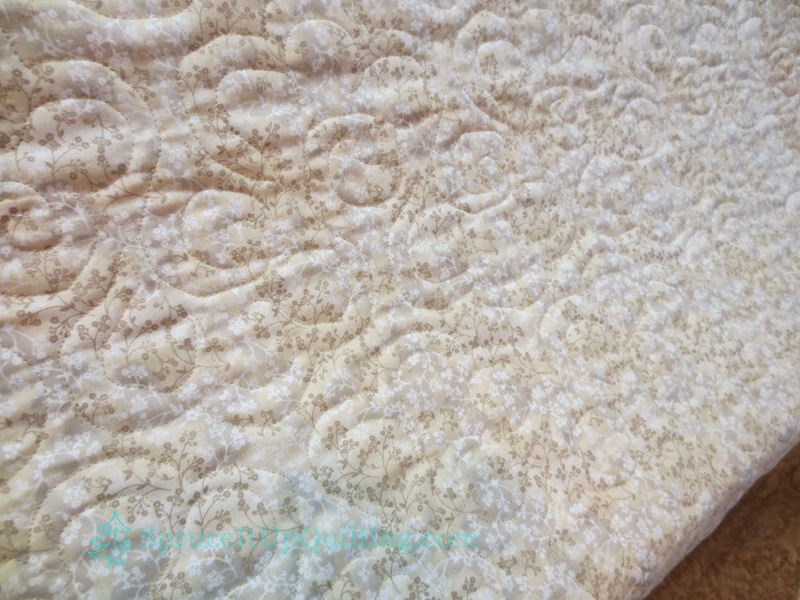 It has a glow in the dark effect and perfect for a teenager's quilt especially flames!! 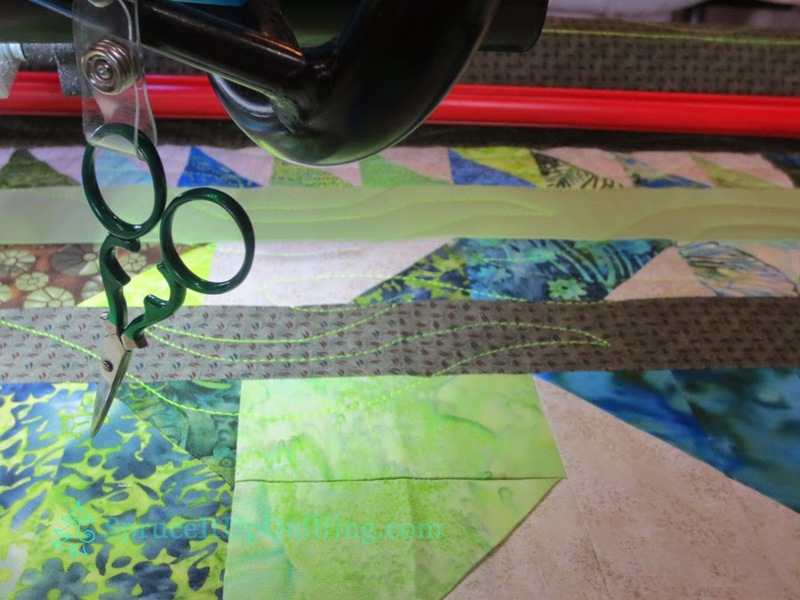 A sparkling quilt Odette... in more ways than one! 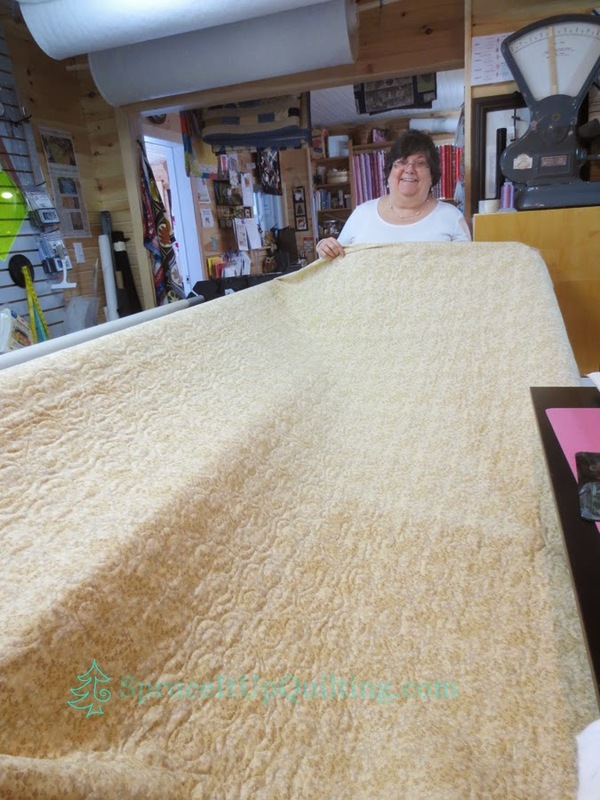 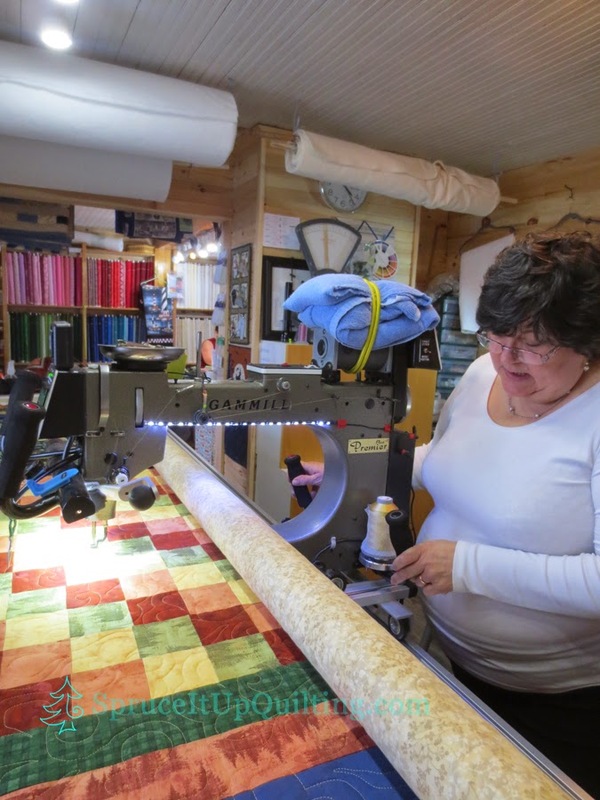 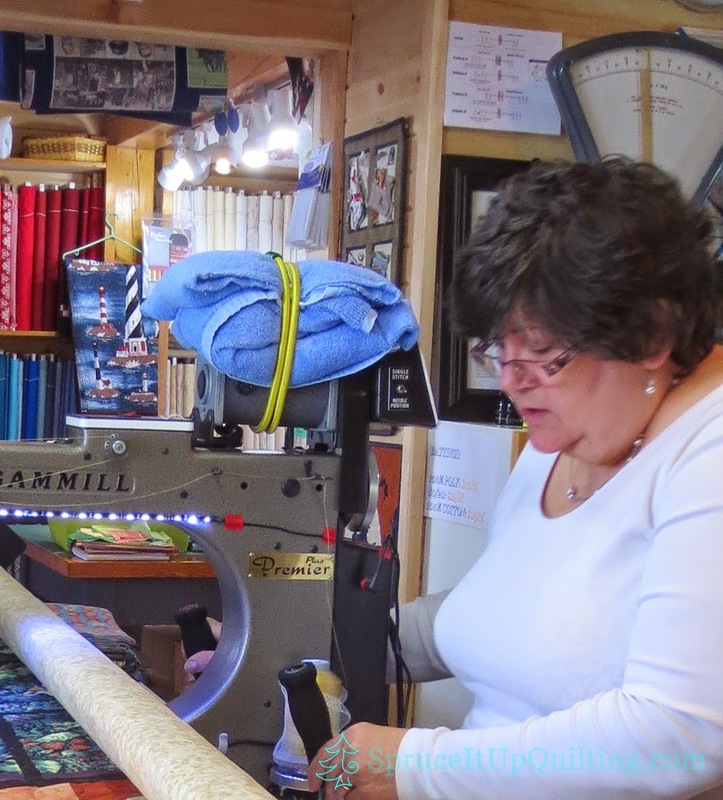 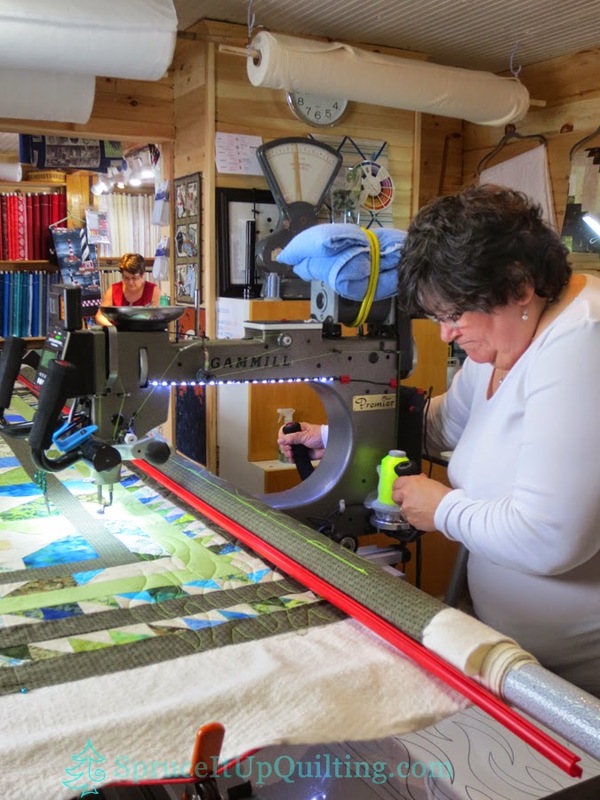 The Greater Moncton Quilt Guild's past president issued a challenge to its members: the challenge was to cut and sew a panel. 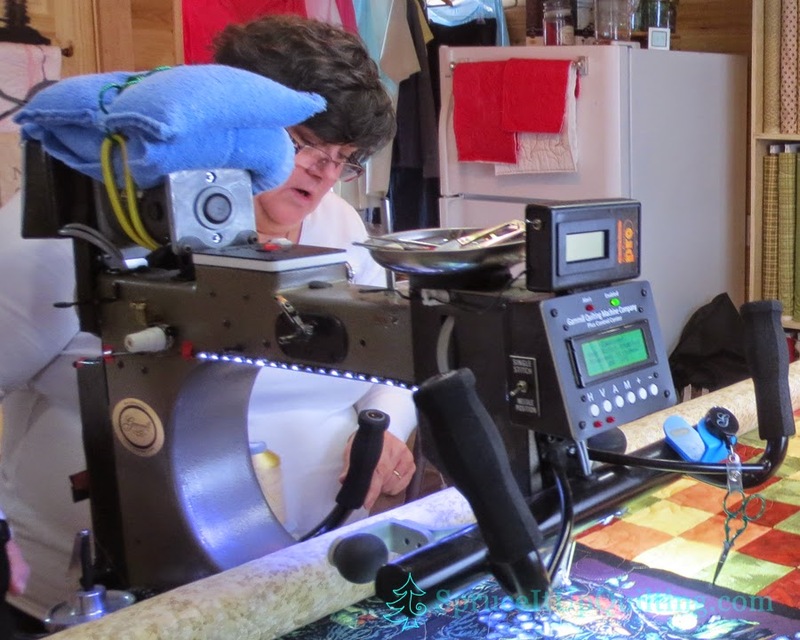 Photos of each participant with her panel were taken in October and the deadline is at our June meeting. 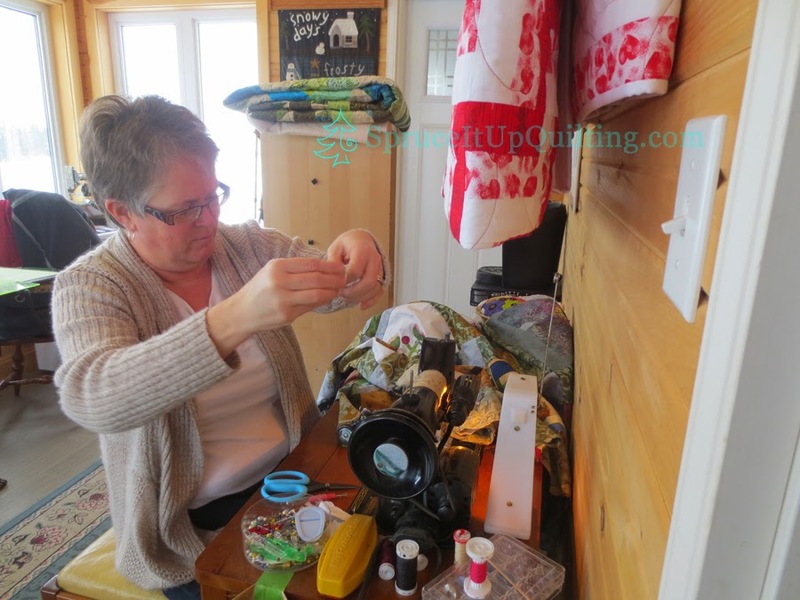 Odette finished work on her panel at our February retreat. 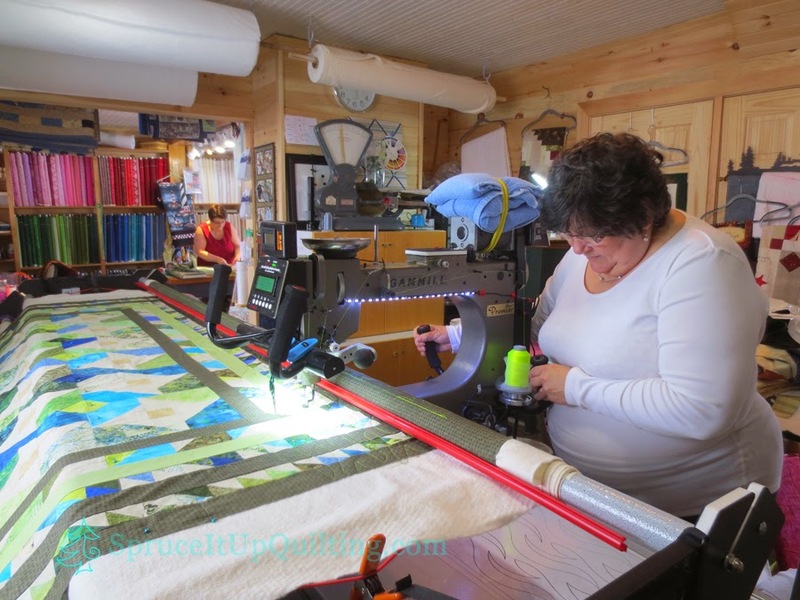 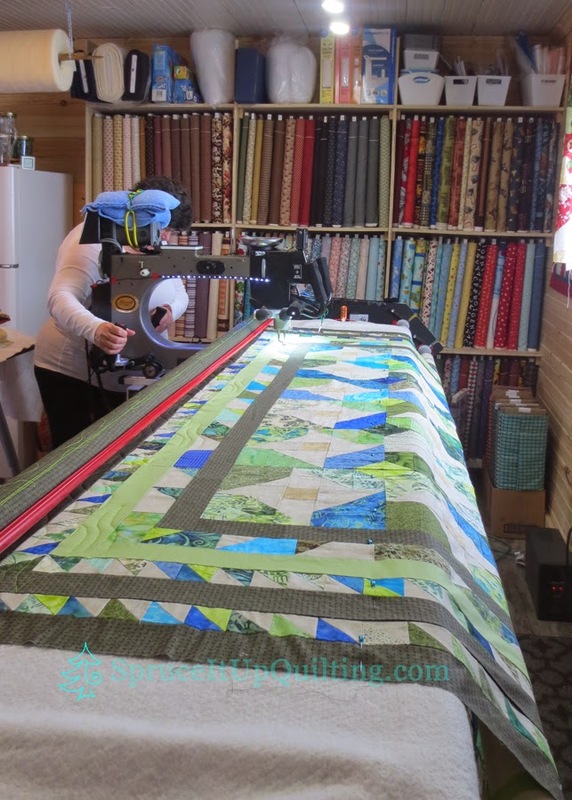 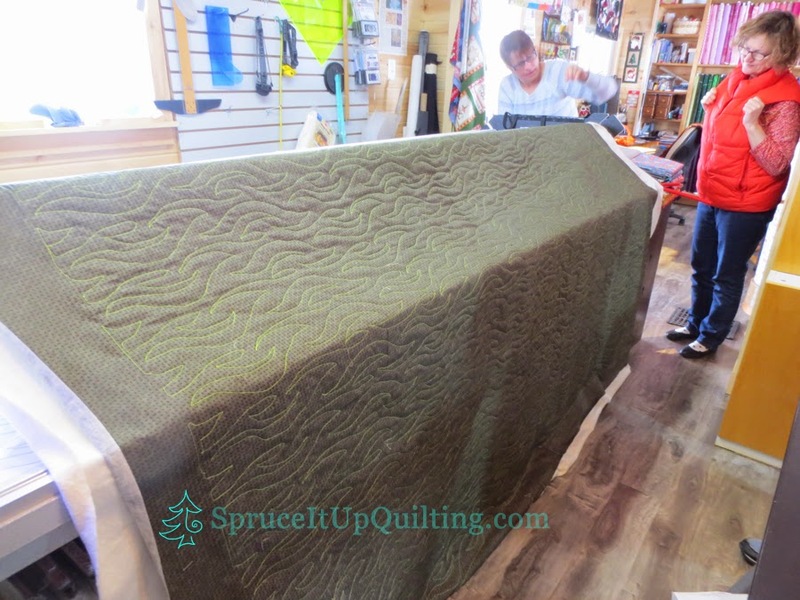 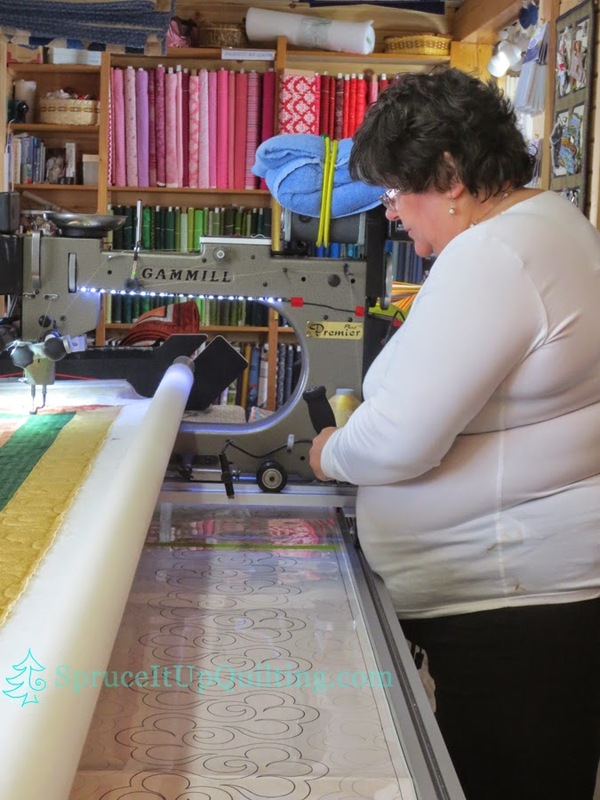 She chose to quilt it with Filtec's Glide in Sand and the Halcyon pantograph; we loaded the length horizontally. 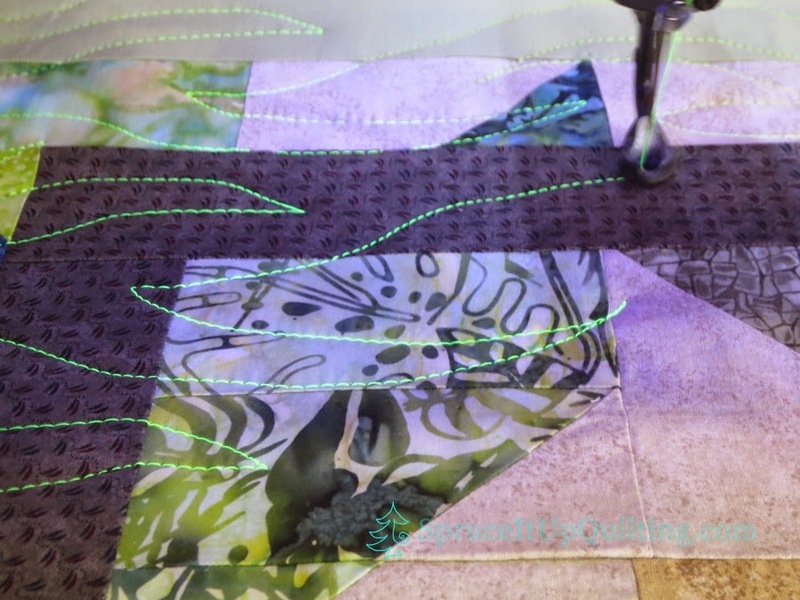 But that's all you'll get... can't show the final result... it's a secret until June!